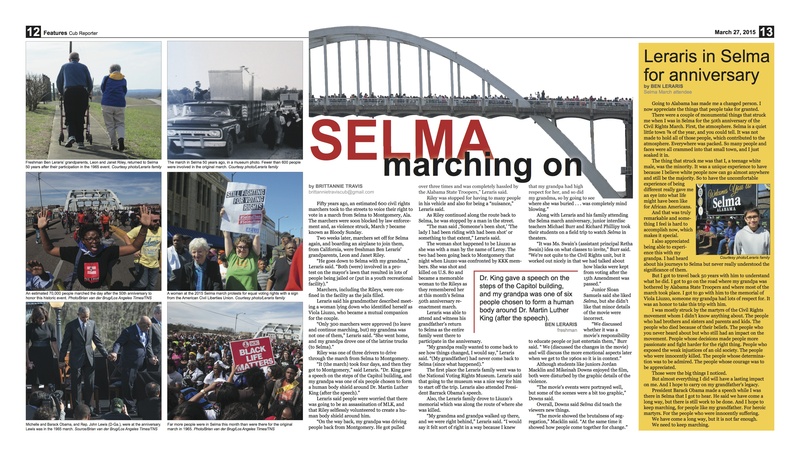 The Lawrence Central High School Cub Reporter staff found a great local connection to a national anniversary. The result is a news feature that combines art, historical background, a personal story and photos to create a package that is interesting on multiple levels. 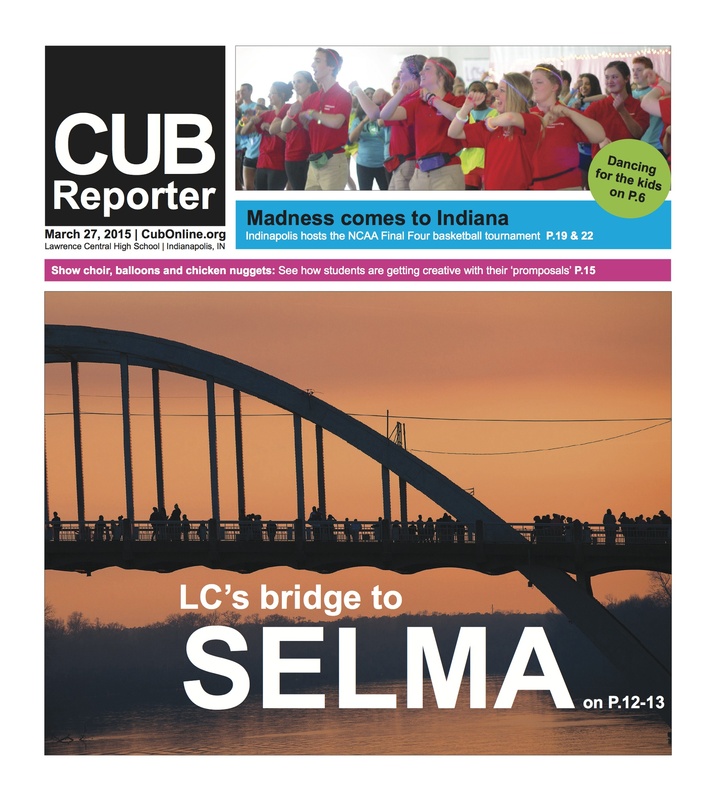 To download the PDFs, please click here for the cover and click here for the inside spread.